Wine gets better with age, like cheese and the value of a first-edition copy of Abraham Lincoln’s autobiography, Lincoln for Love in All the Wrong Places. Enjoy timeless taste with this Groupon. The tasting includes samples of six wines from a selection of 18, which guests can swirl within a large bordeaux-style glass whose ample bowl allows each wine’s aromas to mingle. Between sips, the host will impart information about the varieties they are sampling and encourage discussion of subtle flavors. 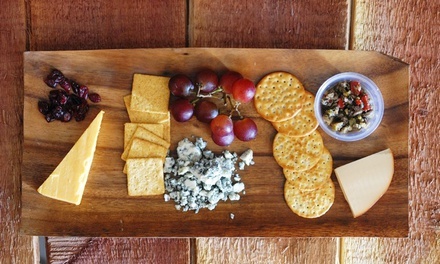 Additionally, the winemaker personally will select samples of gourmet cheeses intended to pair with the wines. Among the selection of bottles of wine available to take home are the 2011 Merlot and 2012 Zinfandel. Limit 1 per person, may buy 2 additional as gifts. Limit 1 per visit. Valid only for option purchased. Must be 21 or older.